The client emphasised from the outset the need to produce a website that would not only bring in new customers but also reassure existing contacts of their credentials. As such, prominent placement was given to show the business’s credentials via staff pages, history of instructions and range of work. 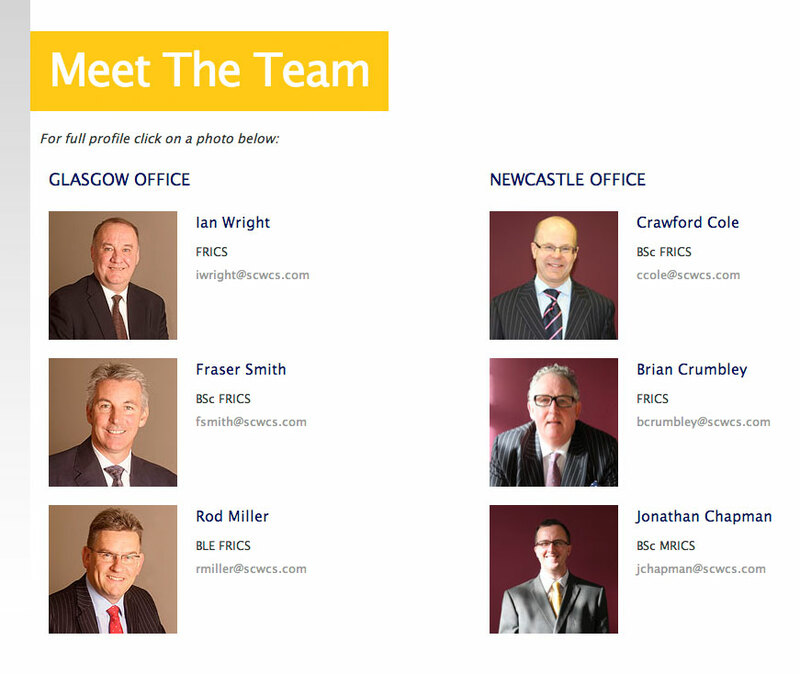 The site’s visual design also developed the company’s brand – highlighting their professional trustworthy approach. 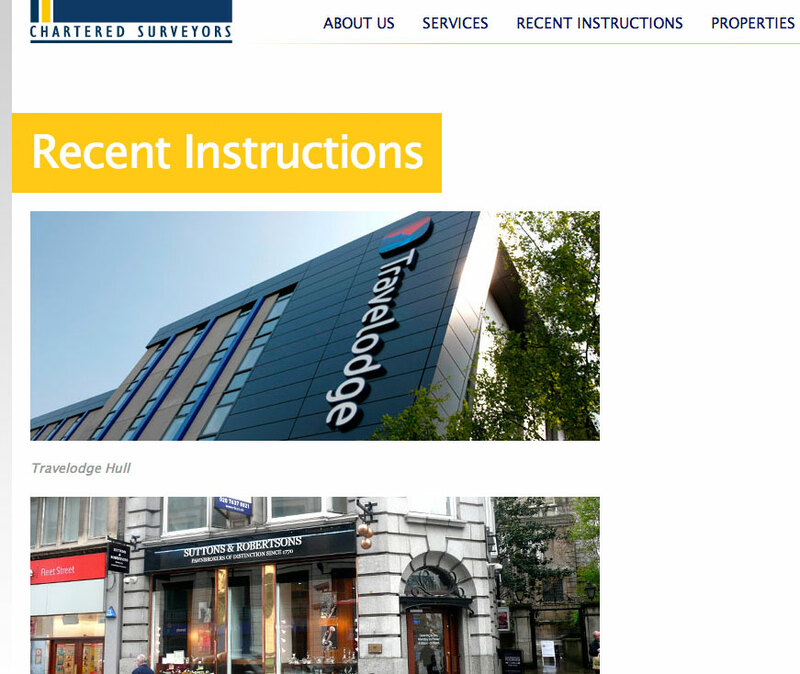 A key component of any charteredÂ surveyorsÂ website is the ability to offer users quick and easy access to their available properties and development opportunities. This was achieved by implementing a specific property listing feature in theÂ contentÂ management system that could handle categories (e.g. 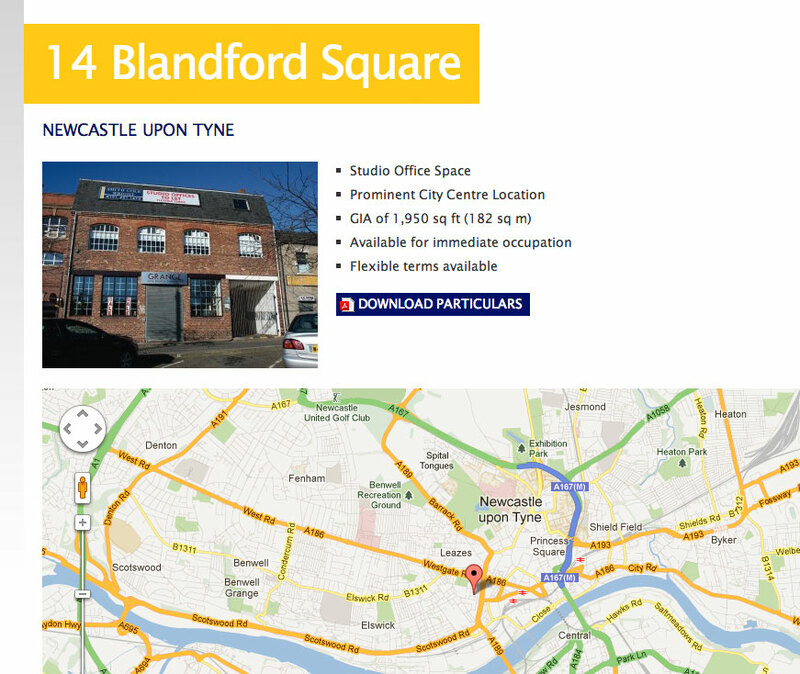 office, industrial, land) photos, Â key information, geographical location and PDF files.Â Each property listing page also utilised the ability to dynamically embed a map, generated simply by inputing a post code refrence into the content management system. A charted surveyors website with property listings is only as useful as it is up-to-date! Because of this the ability for the clients to make quick and easy updates and additions was absolutely paramount. The site was thus built upon the widely established WordPress platform – giving the clients complete access to fully editable content and the ability to swiftly add new properties as they became available. All businesses are constantly adapting and changing. 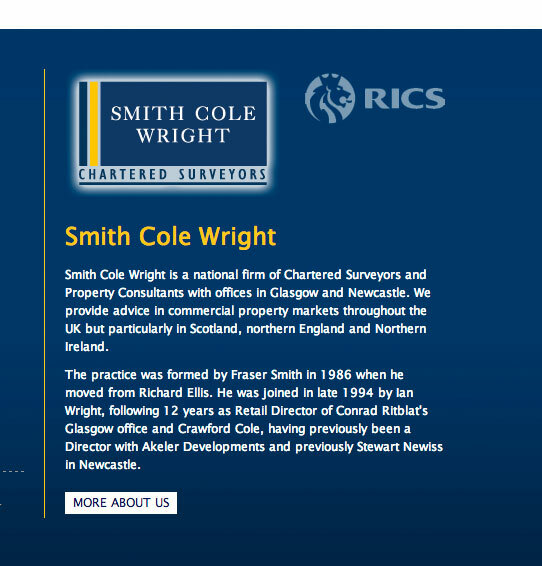 And so a good chartered surveyors website will adapt with the business. By building the site upon clean semantic code and keeping the structure nice and simple, smithcolewright.com will able to grow with the business.